When I first started going to the ‘Drunken Butcher’s’ supper clubs the concepts were pretty simple. 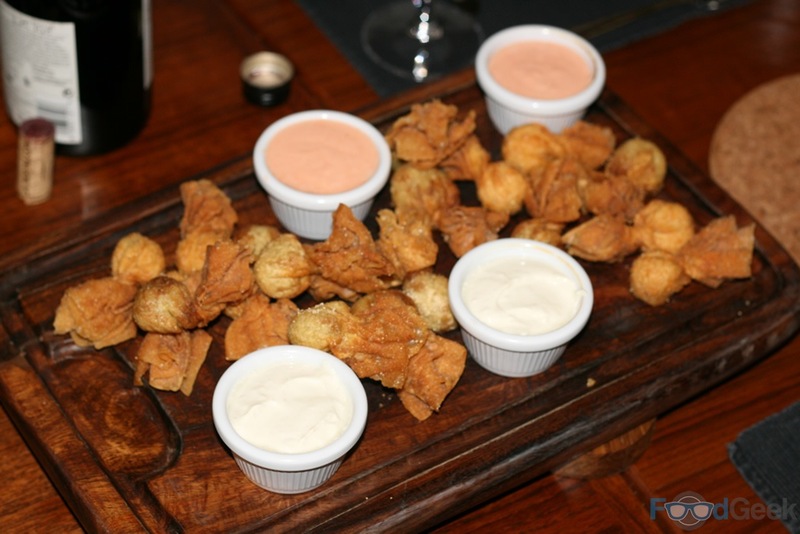 Generally based around a specific cuisine or individual meat; Spanish or French for example; pork, game or steaks perhaps. Over the past year the main theme of his events have got ever more elaborate. 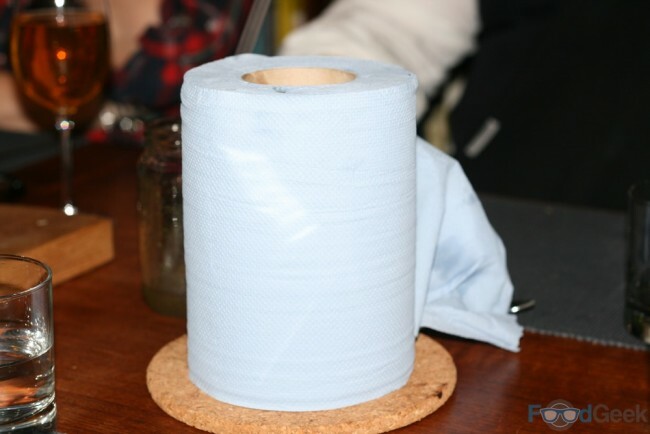 Recent supper clubs include: ‘Poet’s Corner’, where every dish was inspired by a poem, ‘All Bets Are Off’, where guests could win back the cost of their food by guessing the main ingredient of each course and ‘A collection of bad ideas’, the title of which seems to speak for itself. I recently attended ‘I liked this before anyone else knew about it’, not just the supper club with the longest name but also one of the most playful menus I’ve ever come across. 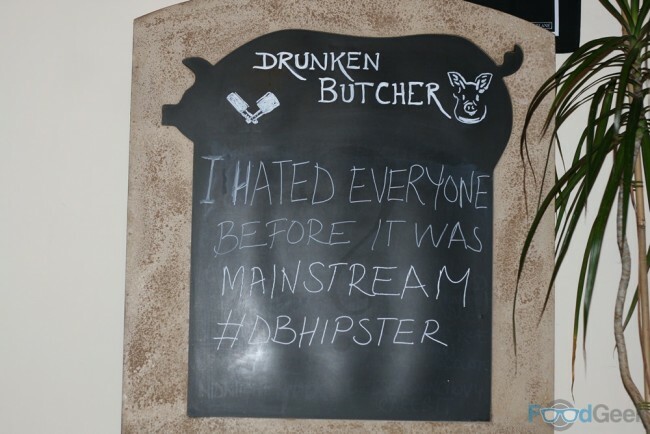 Intended as a gentle dig at the rise of foodie hipsters and the pretentious menus seemingly aimed at them. Soon after arriving we were served our welcome cocktail, a ‘Mint Tea Mojito’. It wasn’t just any old mojito though; they are like SO 2010’s. This was a next generation mojito, made by making mint tea into a syrup and garnishing with dehydrated mint powder. 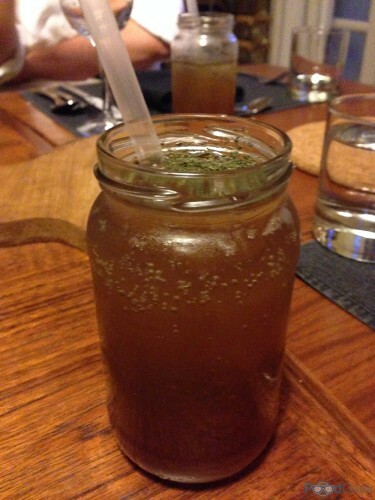 Oh, and serving in a jam jar, naturally. Now, although it was perfectly enjoyable and I applaud the effort that went into making the drink (and appreciate that a regular mojito wouldn’t have hit the brief in the same way) I can’t help thinking Iain’s work was in vain as I’d have much preferred a proper mojito. The first course was inspired both by Iain’s annoyance at seeing the term ‘Manchester’s First’ plastered all over recent restaurant openings and his pure hatred dislike of the word ‘authentic’ (I won’t go into details, as he already has here). 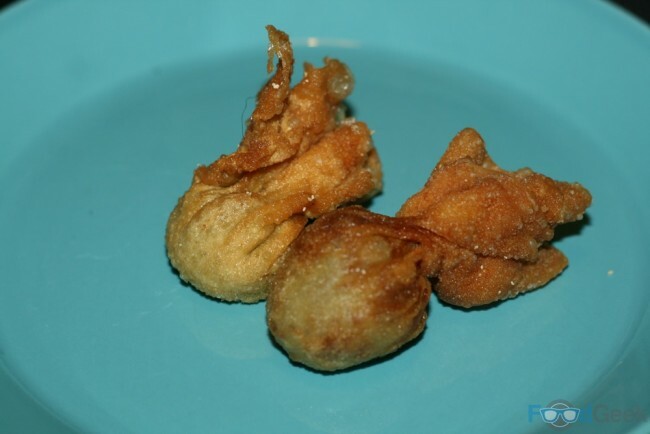 As a fitting misuse of the word Iain’s ‘Manchester’s first authentic Dim Sum’ contained no ingredients from anywhere near Manchester, just as he himself is not from the area. Regardless of their authenticity, they were fantastic. Two different varieties of pretty little wonton parcels; half filled with salmon & thyme, the others with smoked mackerel. The dips were equally good; sour cream with horseradish and Sriracha & buttermilk. I’m not ashamed to admit I finished off the latter with a spoon. My favourite dish was ‘Bone broth with soba noodles & organic vegetables’. 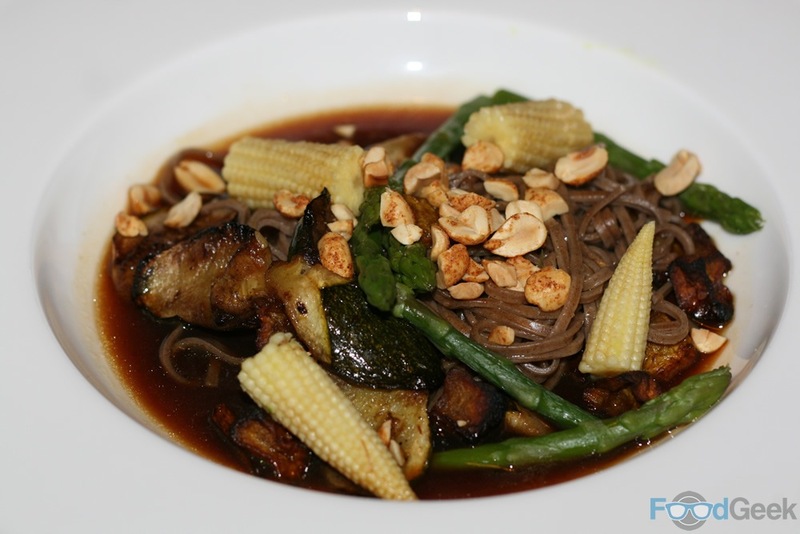 The noodles and organic vegetables – including courgette, swede, baby sweetcorn and asparagus – were delicious, cooked with ginger, chilli and lemongrass and topped with roasted peanuts for an authentic Oriental flavour. But it was the rich broth (not stock) that was the star of the dish. So many ingredients went into making it, including pigs trotters, pork cartilage and chicken frames (Iain’s words, I’m lost as to whether it was meant to be another hipster description or is a genuine cooking term that I’d never heard before). Next up was a ‘DIY G&T’, described as the ‘iCocktail’. Wild gin from a small rural Finnish distillery and Fever Tree ‘Premium’ tonic water was brought to the table for us to mix our own. 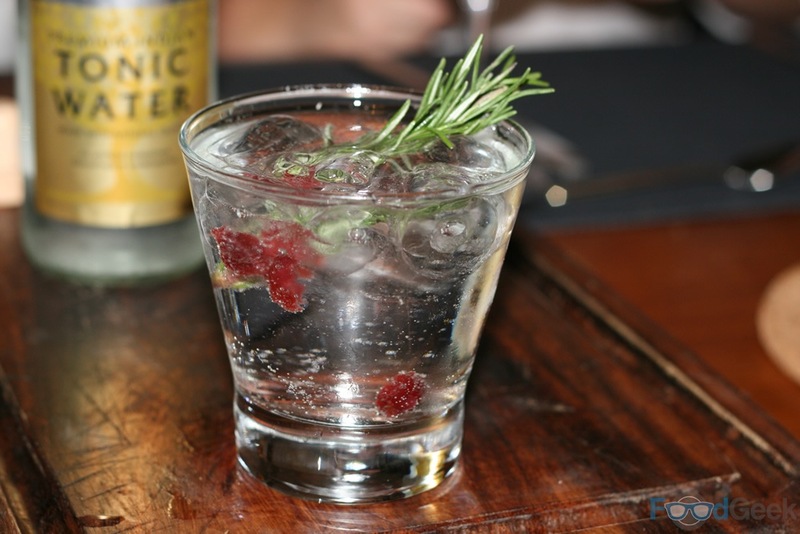 Along with dried cranberries and fresh rosemary to garnish. It might sound pretentious and it was, but intentionally so. It was also the best G&T I’ve ever had, by far. 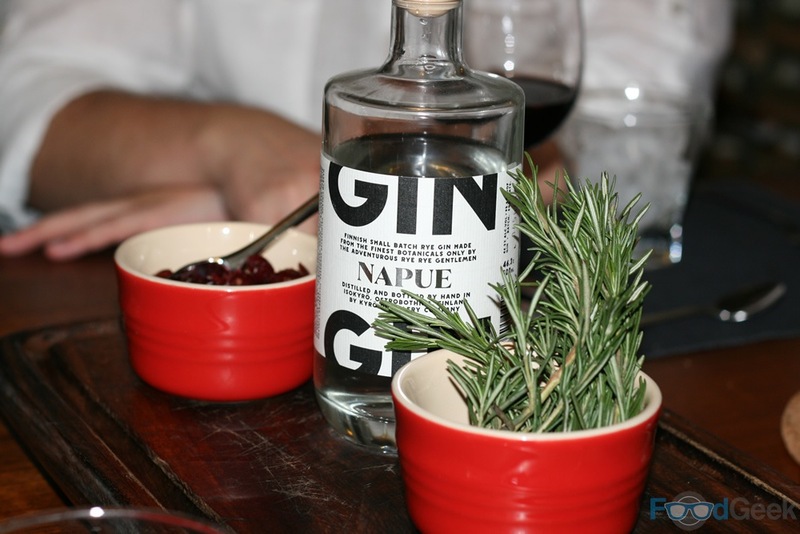 And I later found out that the Napue Gin won first place in the Gin & Tonic category at the recent International Wine & Spirit Competition. The main event was perhaps the most hipsterified food around, the once humble burger. It was another DIY job. 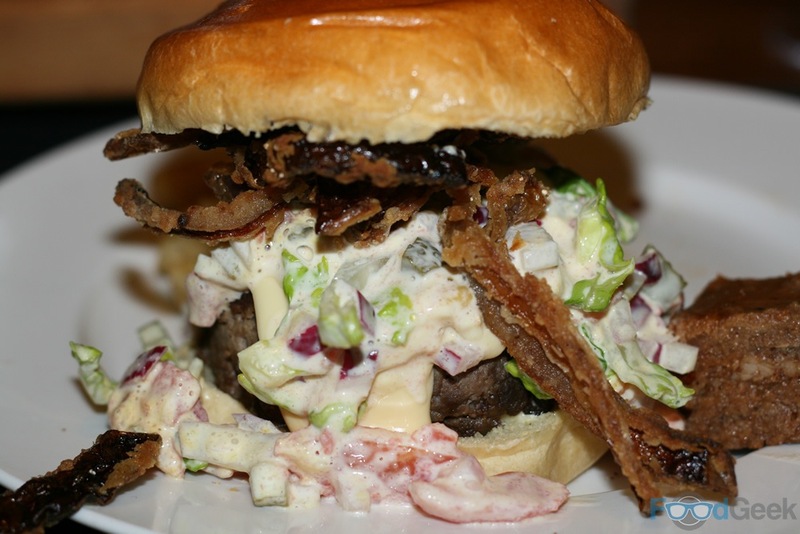 The ‘Deconstructed Burger’ came as a hand formed patty – made of house ground Dexter brisket, short rib and skirt steak – on a garlic buttered brioche served with a variety of ‘unnecessary garnishes’. These included ‘LTOP’ (lettuce, tomato, onion and pickles), ‘SMC’ (super-melty-cheese), house cured bacon, Southern fried onions and pulled pork terrine. 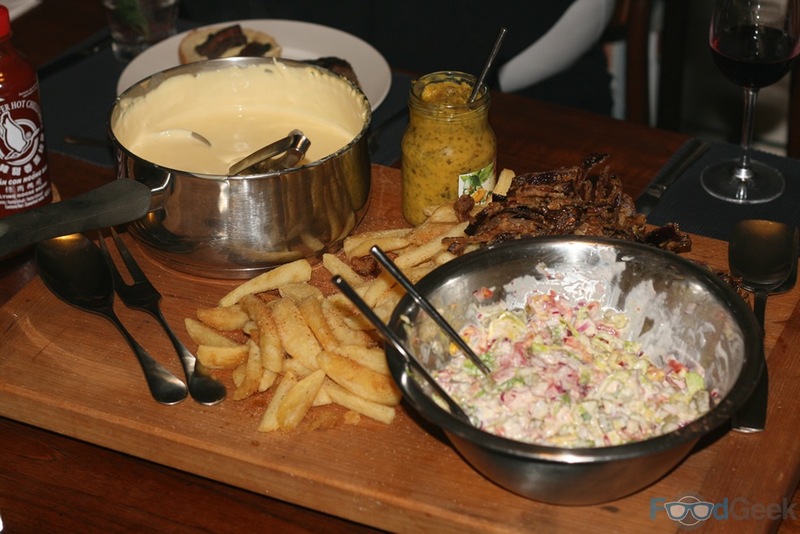 There was also hand peeled and cut, triple-cooked speciality fries with house seasoning. Actually I’d argue that most of the garnishes weren’t unnecessary at all, they were unbelievably good. Particularly the SMC, a gooey, cheesy delight. Even being told it was made from cheap cream cheese and melted down CheeseStrings™ (!) didn’t put me off. Personally I didn’t love the steamed patty, it had been seared, then steamed and then seared again, supposedly to allow the fat from the short rib to baste the meat properly. 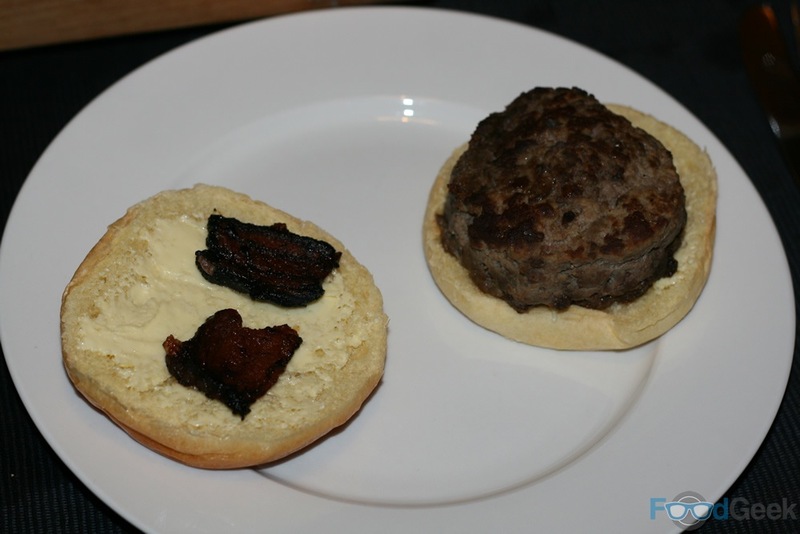 But I felt it had a slightly weird texture and wasn’t as juicy as other steamed burgers I’ve had nor as a medium rare grilled patty. Nevertheless, when combined with the unnecessary garnishes it was a pretty epic burger. 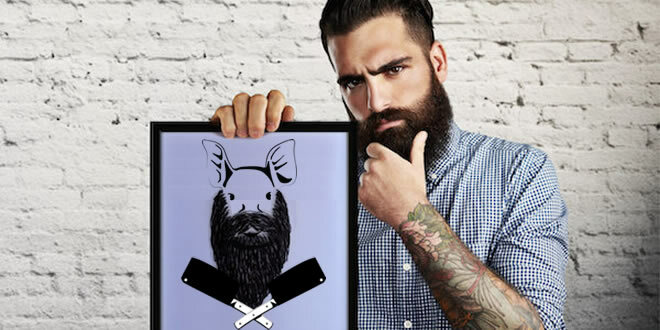 Besides artisan burgers there’s nothing embraced by hipsters everywhere more than craft beer. ‘Crafty beer with house made crisps’ the menu stated. 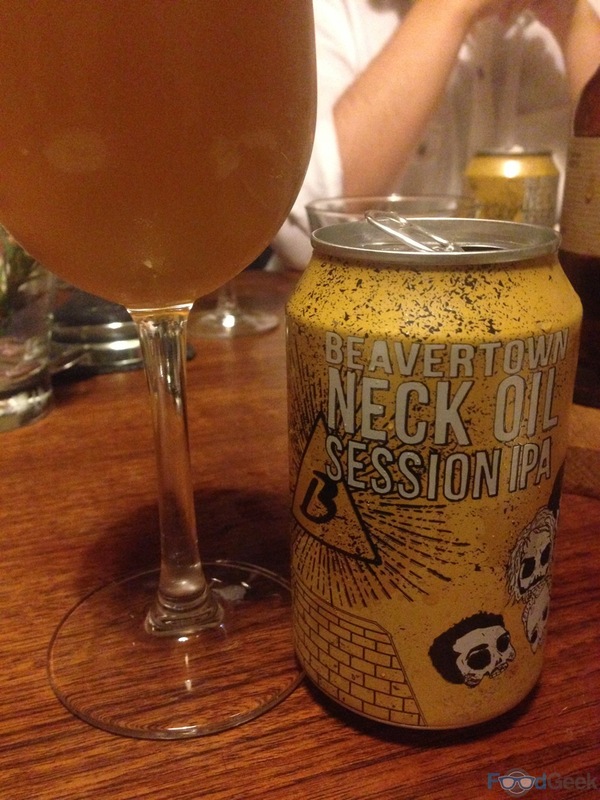 The beer in question was Neck Oil by Beavertown but unfortunately the ‘house made crisps’ never made it as Iain’s fryer decided to have a meltdown at a highly inconvenient moment. 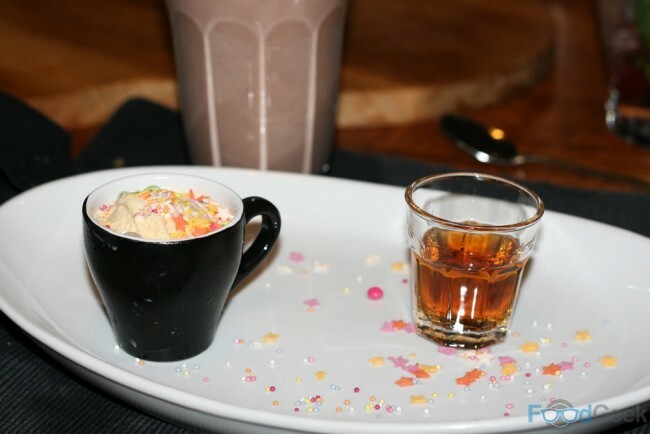 Dessert was ‘Cereal milk ice cream with sprinkles, Coco Pop & rare batch bourbon milkshake’. The ice cream was simply stunning, inspired by the famous dish from Momofuku Milk Bar in New York. Tasting sweet, malty and genuinely reminiscent of the remains of a bowl of cereal! Finished with colourful sugar sprinkles, it was as fun as it was accomplished. 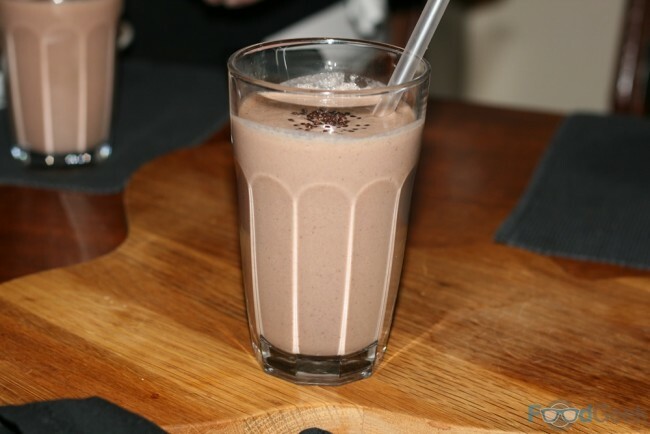 Similarly, the ‘Coco Pop’ milkshake was rich, smooth and chocolaty with a massive boozy hit from a shot of rare, single batch, nine-year-old ‘Knob Creek’ bourbon from Kentucky. As a self-confessed beer geek (but not hipster) I always make an effort to match the drinks I bring to the menu on the night. 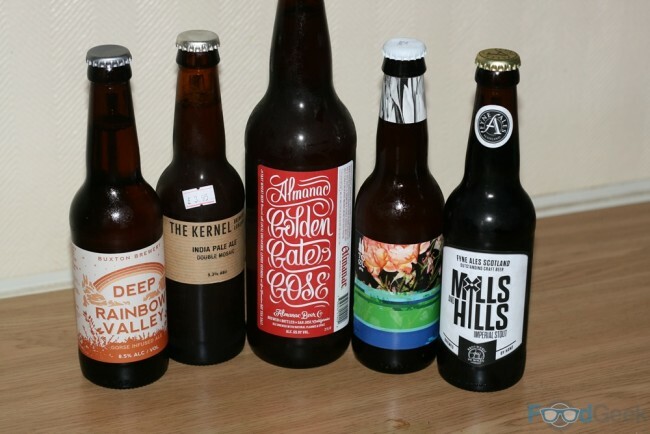 On this occasion I made sure that as well as being good pairings to the food the beers were as pretentious as possible too. I think I did a pretty good job; they included a gose brewed with San Francisco Bay Sea Salt, coriander and lemon verbena and a soured orange juice saison aged on gorse berries. 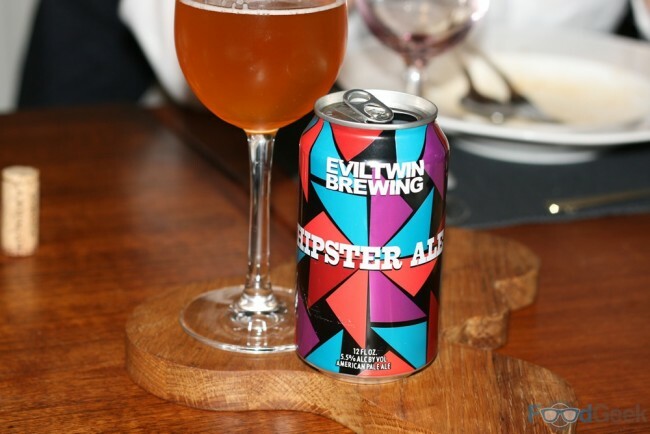 As well as perhaps the ultimate ‘Hipster Ale’, in a can but drank from a wine glass. This supper club was a lot of fun, every course totally nailed the brief and most hipster stereotypes were successfully ticked off. I was only surprised by the lack of kimchi or bacon jam. But while the menu was clearly one of those where the name/idea came first, I was impressed that everything genuinely worked on a food level too. The cooking was all first class, as ever, but more importantly nothing felt like it was there purely to sound good on the menu. I hope to see many of these dishes return to future supper clubs, particularly that ‘Bone broth’, although we might be allowed to just call it ‘stock’ then.